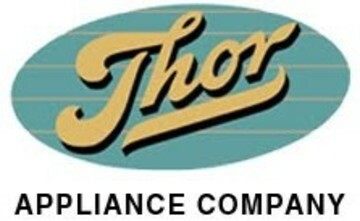 You should trust only the best in Las Vegas to repair your Thor Appliance. Thor utilizes many different commercial technologies and not just any ordinary appliance repairman can fix these appliances with many units being difficult to repair. With over 15 years of experience each all of our master appliance repair technicians can fix any Thor appliance including their signature ovens and stoves. Over the years, Thor has quickly established itself as one of the best luxury brands on the market especially, after their distribution deal with Home Depot (making their replacement parts easily accessible as well). We repair all types and models of Thor appliances. From built-in ovens and range hoods to commercial stoves and electric ranges - one call will handle it all with our appliance repair pro's. We always offer fast same day service and have the team plus, locations to guarantee it. Thor is a new American classic brand and we have many of the necessary replacement parts either on hand or nearby at our warehouse to ensure fast same day service. Thor without a doubt manufactures some of the best convection ovens and gas stoves on the market and if taken care of properly these units can last for at least a decade or more. We're the company to call if it is a oven or stove in need of repair. We can fix it faster and for half the price of our local competitors. Please feel free to text, email or give us a call anytime and trust only the best to repair your Thor appliance. We can Repair Your Thor Appliance. Give us a call today and trust EZ Fix to repair your Thor Appliance! Thor manufactures some of the best built-in ovens on the market. You should only trust the best with these types of units because, it is easy to make a simple problem worse when it comes to appliances. We do dot have every single Thor replacement part there is but, we are one of only a handful of repair companies in Las Vegas to carry many common Thor oven and stove replacement parts. We will also double and triple check that your oven and stove are reaching the proper temperature to properly cook meat and poultry. We always see to it that your safety is first and foremost.